The ingeniously designed Leica “Sport” belt allows binoculars to be carried without swinging when walking or climbing and simultaneously offers fast access to the binoculars whenever and wherever they are needed. 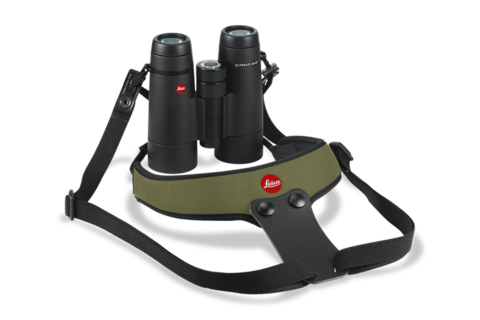 The binoculars are automatically drawn back into the right carrying position when not in use. The Neoprene material is soft, particularly comfortable on bare skin, and the belt can be adjusted to any suitable length.